The injured Tamil farmers said the intruding Sinhala monks and Forest Department guards have been harassing the cattle-herders for a long time. 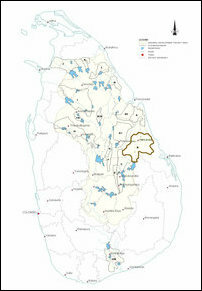 The Sinhala colonists led by Buddhist monks and the occupying military have put up 350 houses in Maathava’nai area, the farmers further said. Some of the Sinhala colonists seem to have vacated from the houses, they said. 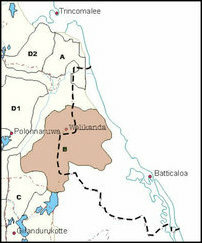 The Sinhala colonists have established Buddhist temples and are engaged in slash-and-burn cultivation in the pasturelands. In the meantime, SL Forest Department and SL ‘Mahaweli Department’ officials have been harassing the Tamil cattle-herders demanding ‘pass’ documents from them to access grazing lands. 02.11.16 Sirisena deploys ‘pass restrictions’ to block Tamil farmers ..
21.09.16 Sinhala colonists step up assaults on Tamil cattle herders i..
14.09.16 Sinhala colonists advance 3 km further into Batticaloa, erec..